Mystery Fanfare: June Moffatt: R.I.P. Sad news. Just heard that longtime fan June Moffatt died peacefully in her sleep yesterday at the age of 92. 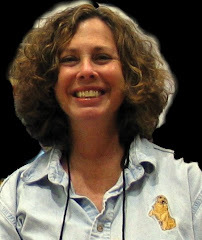 June was one of the founders of Bouchercon and chaired three of them. She and her husband Len were Fan Guests of honor at the 1985 Bouchercon. They were also founding editors of the JDM Bibliophile, as well as contributors of Dapa'Em. June was a member of Curious Collectors of Baker Street. June and Len were also very active in the Science Fiction community--conventions, fanzines, and more. They contributed so much for the mystery and science fiction communities. I will update this when I collect my thoughts. 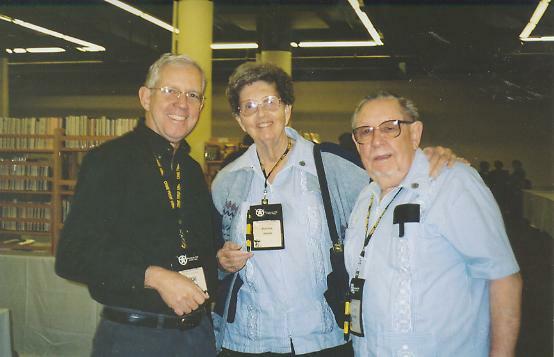 Above is a photo (not mine) of Bill Crider, June Moffatt, and Len Moffat. Labels: Bouchercon, June Moffatt: R.I.P. Sad, sad news, but she had a long life, making a major contribution to mystery and SF fandom. RIP June. Likely none of us would be going to mystery conventions, much less running them, if it weren't for Len and June. Oh Janet, so so sorry to hear this! What incredible people she and Len have been. They were so very supportive of Chris and I when we took over Mystery News. I’ll never forget their kindness.